Getting a D800 has taken my mind back to my “Peak Film” years around 1999-2000 when I went for a 6 week trip to Australia and Japan, then did a couple of trips to Iceland, Italy too, and routinely carried two Nikons and a Bronica SQA with a pair of film backs. The bag, a Billingham, also contained all the lenses and filters and the other things a photographer needs, plus rolls of Velvia, Ilford FP4 and HP5, Agfa APX25, and Tmax 3200, many in both 35mm and 120. While Beardsworths may be bred for manual labour, it was about as much as I could carry in comfort. Remember the film leader retriever? I did have a lighter setup. 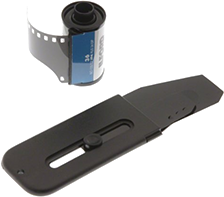 This involved winding back the Velvia mid-roll, retrieving the film’s leader so it was ready for re-loading, scribbling the frame number on a scrap of paper, and then loading whatever black and white film suited the subject. So “light” meant just a single Nikon and its lenses, my Bronica and the spare back…. So while not a stranger to carrying two camera bodies, when I bought my first digital camera, a Nikon D100, one thing I immediately enjoyed was no longer feeling a “need” for two bodies. I could choose the ISO for individual shots, and decide upon colour or black and white later in the digital darkroom. After a while the D100 was replaced by a D200 which would itself be replaced by a D700, but the older camera always went into a drawer – not into the camera bag. So while my usual ThinkTank backpack is probably heavier than most people would tolerate, for the last 10 years I’ve only carried a single camera body. Two things have made me wobble though. Much of the time I don’t need a second camera body, but there are occasions when I lose great opportunities to get pictures. For instance, at historical re-enactments you just don’t get time to switch from a 70-200 zoom to a wide-angle when the cavalry comes charging right past you. On important occasions I can rent or borrow, but I had been thinking the best solution would be a used D700. But then the D800 was launched, and for all its 36 megapixels and video, I wasn’t ready to replace my trusty D700 and I was still pretty reluctant to buy it a second body. It’s usually best to “keep your powder dry” until you’re clear what you want, isn’t it? The other reason was curiosity about the rise of the mirrorless camera. Over the last couple of years each new Olympus or Fuji seemed more credible than the last, and every so often someone whose opinion I respect would have bought one and was enthusing over it. In some cases they had even switched entirely and disposed of full frame Canon or Nikon gear. But while I handled many of these models, none had won me over and to me they all seemed more like alternatives to something like a Canon G16 than a a second main camera body. That was until I saw the XT1. The electronic viewfinder was the best I’d seen, and I liked the articulated LCD screen. For me the key to a new feature is if it lets you capture pictures which you wouldn’t have tried, and these screens let you compose with the camera placed on the ground or held way above your head, or maintain eye contact when you’re shooting portraits from a tripod. Although I suspect in the near future we’ll do that with phones or iPads (the XT1 already has wifi) I wish all high end cameras had these screens. And the XT1’s was nice. On the other hand, these Olys and Fujis are called “compact system cameras” for a reason. A Fuji might weigh less than a second full frame body, but a second system would soon mean extra Fuji lenses and other accessories. I doubted I would be able to stop myself. I like the redesigned focus mode switch that’s on new Nikons. 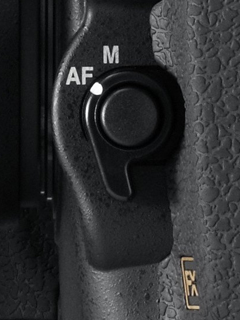 The button provides access to focus point controls. But what finally pushed me back to two bodies was something the Fuji also offered – video. Now, I confess, I have often teased videographers by questioning if moving pictures would ever catch on, and semi-seriously by likening video to vacuuming a scene rather than choosing the decisive moment (Jarvis Cocker says making the Pulp documentary ‘like emptying a hoover’). I’ve not really changed my mind. I don’t want to get too deeply into video, but I’d like to see what I can do at re-enactments. One guy has been doing it, and the results seemed amateurish, but another is an experienced TV cameraman and did some fascinating 1200 frames/second slow motion on a £200 Nikon J1. With the kind of privileged access I get, plus knowing how to use the video features in Photoshop CS6 (and here), I’ve been wanting to see what I could do – and if nothing else, at least I’d get some sound effects I could use for slideshows. So one morning a few weeks ago, a D800 arrived at my door. My first reactions were that the D800 felt resolutely old-fashioned – no articulated screen, no wifi, no built-in GPS. On the other hand, it felt like a nice progression from the D700 and I really liked the biggest change in handling, the replacement of the fiddly focus mode switch with a new design that’s nicely-integrated with focus point control. You don’t reach for the shutter release when you see something interesting – it’s already rolling! Simple things, but it’s quite a mental shift between still photographer and videographer. Maybe it is temporary, and soon I’ll be switching just like I used to drive to the airport in my own car and then rent a left hand drive at the other end, or could it be more fundamental like when I used to play a lot of squash and could only adapt to playing tennis by switching to that sport for the whole summer. We’ll see. Don’t be fooled. 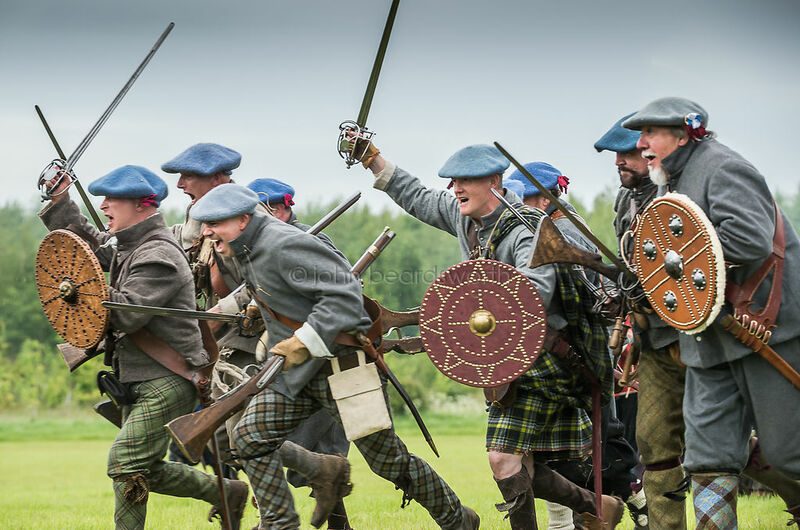 They may be portraying Scots, but these guys are mostly Germans who usually re-enact the 3o Years War. Scots mercenaries had fought in that war. And one other thing the D800 has taught me – don’t forget your old disciplines. I say that because when I ran out of space on the SD card I put a Compact Flash card into its second slot. Surprised it still contained some pictures from months ago, I formatted it – and managed to wipe the 32Gb card in the SD slot and which had all the video and photos I’d shot earlier that day. It wouldn’t normally be a mistake I would make, as I usually download everything each evening and format all the cards before the next day, but 32Gb cards had made me complacent, and in the heat of the moment is when accidents happen. Luckily it had been near the end of the day and thanks to ImageRescue I lost nothing of value – apart from a day of my time. A couple of weeks in. I still think getting a D800 feels like a perverse decision, but I’m definitely getting used to it.